@ 1:00 pm on Saturday May 6th at the Clarion Hotel (Central Richmond) 3207 N. Boulevard, Richmond VA. FREE. Show doors open @ 10 am on Saturday. Free Treasure Hunts between 10 am & 1 pm before the Merit Badge event! Class time will be at least 2 hours. No registration required. See the 10 requirements for completion. Be prepared to show completion of requirements 7 and 9. Just by coming to the RCC coin show, requirement 10 b is satisfied! 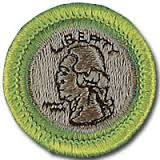 Download the Coin Collecting Merit Badge requirements and prerequisites "HERE" . If all 10 requirements are satisfied, we will sign off on your merit badge blue card. Spend the day with us. Your brothers, sisters, parents & grandparents are welcome too! Come at least an hour early if possible. We will also be conducting Coin Treasure Hunts throughout the day on Saturday. Our Treasure Hunt counts as part of your Coin Collecting Merit Badge requirements. We look forward to seeing everyone on May 6th! Copyright © 2017 Heart of Virginia Council. All Rights Reserved. For questions about this site, please contact joinscouting@scoutingvirginia.org.